There are a ton of games and franchises from yesteryear that would make excellent choices for a revival subject. Gamers as a collective have been screaming for quite a few lately. Road Rash comes to mind. Streets of Rage also has tons of support. One thing needs to happen to make these dreams a reality. We have to support the games that companies decide to bring back from the past. I’m not saying buy any game that developers brush the dirt off of. I’m saying when a good one comes along, don’t just talk about how great it is. BUY IT. We have to encourage the people sitting on these gems to polish them off. And supporting similar products will do just that. With all that said, I’m happy to report Strider is indeed one of those gems. Most people remember Strider from 1 of 2 places. If you’re in my age range, you may remember either the arcade version of the original Strider game, or its Nintendo port. If you skipped that game or were too young to experience it, you may know Strider Hiryu from the Marvel vs Capcom series. If you aren’t aware of him at all? Shame on you. This new version is described as a retelling of the original game, and that is a pretty accurate description. Double Helix struck a great balance between making the game FEEL modern, while retaining the classic elements that made it so great all those years ago. Stay tuned for the conclusion of this encounter. 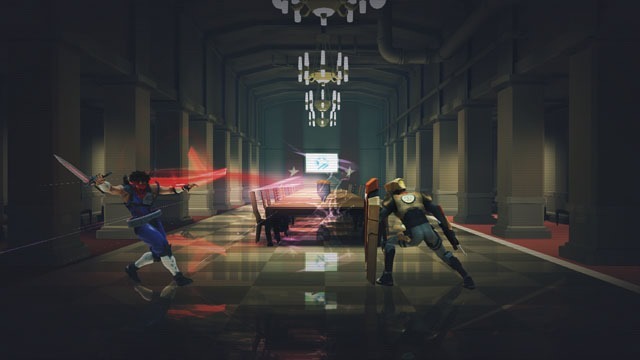 Strider is the latest in a long line of what some gamers have affectionately dubbed “Metroidvania” games. The term comes from two of the most beloved titles of this ilk. Metroid, and Castlevania: Symphony of the Night. These games are 2D side scrolling action games, with a heavy focus on exploration and backtracking. The entire world is usually linked for the most part, and each new item and skill acquired allows you to explore more of the game world. This is the first Strider game that is created in this manner, and it works very well. These games are very light on narrative, and Strider is no exception. There are a few exchanges between Hiryu and the characters he encounters, but we all know ninjas aren’t people of many words. Strider is well versed in talking trash however, and seems to enjoy telling his over confident oppposition of their impending doom. Don’t expect to be blown away by the story here. It’s as simple as this. Highly skilled ninja must kill all opposition for the good of the world. There you go. Let’s move on. The visuals for Strider are very well done. It still feels very much like its Nintendo counterpart to me, but it does not look out of place in 2014. The colors are vibrant, the character models are very well done, and the game runs very smoothly. I played through the entire game twice and I can only remember one instance of slow down occurring. I love the level design. There are lots of opportunities to explore, and I love how often you see things that are juuuuust out of your reach. Sometimes there are ways to get them with a little skill, but most of the time you just have to wait until you earn the right power up. You spend most of the game running left and right, but there are still some distinct locales to do it in. You’ll visit laboratories, the sewers, the city, you’ll even take to the skies at one point. Each area feels different thanks to some area specific hazards, but you’ll face the same enemies for the majority of the game. Some may sport a shield, or a stronger gun, but it’s mostly ground troops waiting to be slashed in half. There are a few robots thrown in and some stronger enemies here and there. Strider Hiryu has an impressive arsenal at his disposal. I was shocked at how many options you have to dispose your foes. I spent most of the game using about one third of my weapons. Then I reached the last hour of the game (I did my first playthrough on Hard) and realized that wasn’t going to cut it. Hiryu’s trademark Cypher is here (his sword) and you can earn 4 upgrades for it. Reflect, Explosive, Ice and Magnetic. You can also use his Kunai (throwing knives), and a dash move. Both the dash move and the Kunai can take on those same 4 properties if you find the appropriate power ups. Last but not least are Strider’s options. Simply named A, B, and C, each gives you even more attack options. Marvel vs Capcom fans will recognize these. A allows two robots to circle Hiryu and deflect missles. They will also shoot when you swing the Cypher. B will call a panther out to attack anything in its path. Each enemy killed makes it stronger. C calls an eagle down for a focused swooping attack. Each of these options is also used to access new parts of the world. There is no combo counter or anything like that. However, consecutive hits in rapid succession will fill up a meter that sends you into a sort of “rage” mode where you do more damage for a short time. Some experimentation with these attack options will reveal a depth to the action that is easy to miss out on. While you’re looking for all of Strider’s power ups, you’ll also come across hidden items that unlock bonus content. 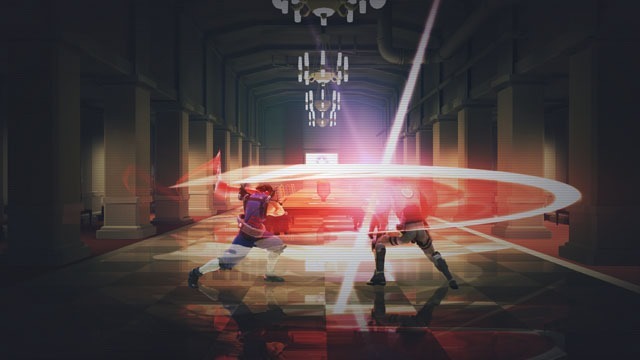 You can find new costumes based on past ninjas in the Strider program, story info, concept art, and even levels for the 2 bonus modes in the game. These are the only collectibles that aren’t marked on the map, so happy hunting. The bonus modes are survival and beacon run. Survival mode is exactly what it sounds like. Survive an endless onslaught as long as you can. Beacon run tasks you with moving through levels as fast as you can. Both modes, as well as the main game, have their own leader boards. I think that is a nice touch. I don’t have too many complaints, but the main ones I do have center around the difficulty. First of all, the game is very cheap at times. Then again, it is based on a game that existed in a time where cheap was the norm. It doesn’t necessarily get any harder from beginning to end. There are just certain sections where the enemies shoot a crap load of shots at once and you can die in seconds. The other thing is the difficulty is very unbalanced. I finished on hard, then went back and played normal. The difference was staggering. I don’t feel like normal will get you ready for hard at all. It could just be me though. Oh yeah, word to the wise to all the developers out there. Please, STACK YOUR DIFFICULTY TROPHIES. ALWAYS. I shouldn’t finish a game on hard and not get credit for normal. What makes you think I can’t do it if I beat the harder difficulty? Difficulty balancing aside, this game is a shining example of how to modernize a game from yesteryear. You can’t say we don’t want it. You can’t say it’s impossible. There is no excuse. There are too many examples of it happening successfully. Sometimes us gamers get lost in the glitz, glamour, and hype of the AAA titles. We forget what made us fall in love with this great pastime of ours. It’s always good to be reminded every now and then. It’s not always about killstreaks, combos, narrative, multiplayer, or gore. Sometimes it’s all about our skills vs the game. Sometimes we just want to fire up a game, and play. We want to gradually build ourselves up to our peak in anticipation of a final showdown with a seemingly unstoppable villain who will test our gaming skills. Strider game me that feeling again, and it’s a high I missed more than I knew.